We heard your opinion the first time when you purposefully posted old photos. Go find another thread to be repetitive on. Everybody on this thread can see the photos, your opinion is not needed multiple times. 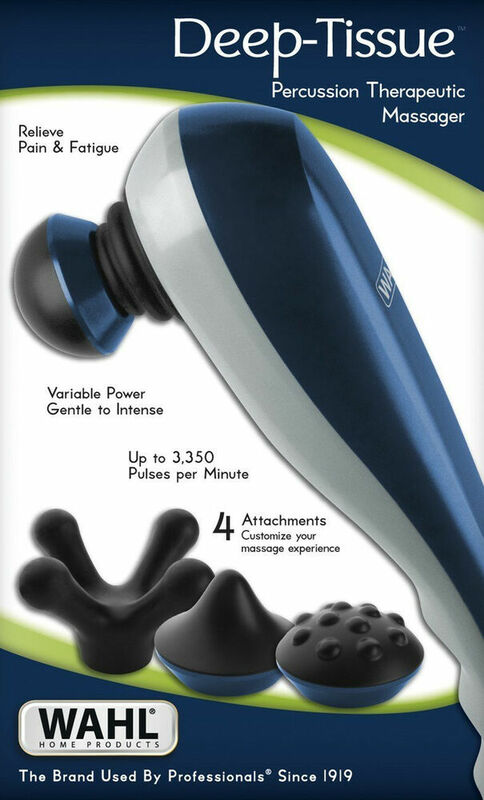 Could an electronic massager work ? Hi, I think that is a good direction to try out. The decalcification benefits are one aspect, along with the circulation and bulging of veins, and I think such a unit would be useful. The third aspect is the mild injury, this comes in a form of a soreness that lasts maybe 6-12 hours and is only felt if scalp is massaged. If you were to try to massage again, you would feel the mild soreness like it is not time to massage again yet. In the beginning I recommend the 3 times a day, because the sharp pain can keep you from reaching this level with one 20 minute massage. I use the rounded edge of the PVC elbow flat on my scalp, it really presses deep and is unflexable, but feels great. There should never be bruising of the skin, just after around 20 minutes you will get used to reaching the mild soreness, This is very different from the piercing painful spots. The mild injury is what causes electron charge elevation (also PH change), platlet rich plasma, and regeneration stem cells to populate the area. I mention this to include the checklist in your duration and evaluation of your methods. Also try to do the entire scalp, to stimulate the lower vessels to bulge. With all the lovely details about mandatory pain, I hope it is enduarable for those trying, and the pain does eventually go away, and even the mild soreness becomes an anticipated relaxing massage, like a deep tissue back massage. I've done the massage using the bottom of the vitamin bottle for 10 days or so now. 2 times a day. I have noticed that I have reduced the large bump at the top of my crown. I would always worry about the day of when I go bald that I would have the odd shaped head. But the massage has reduced it greatly. I haven't had the dead skin shed like some of the others however. Hi all, just wondering if this massager would be useful to loosen the scalp muscles. It looks like there are various speed settings. I was thinking of purchasing the deep tissue massager that was posted above but came across this little device. Also i noticed when I squeeze my sides just an inch above me ears with the palms of my hands - it feels really tender and weak. As a result it feels really painful. Is there any explanation for that? Do anyone have this same experience? Hi you might consider what CS says about the cause of MPB relating to a jaw disorder ( malocclusion ) in relation to the pain you feel. Otherwise it is common for MPB guys to have painful areas on the scalp and with pressing treatment the sharp pains go away after a few months.
" I believe about in as much as one-third of cases (in MPB) are set by what happens at the age of 7 to 8 years of age. 95% of people have malocclusion. " 2. You still have to hold the unit in place and press, nearly the same effort as PVC pressing. If you are not using enough pressure, in my opinion you are missing some benefits. Blood flow is different than breaking up calcification or pressing out oils. 3. I like to use cinnamon oil to increase blood flow. Any oils will melt most rubbers, even scalp oil after time. 4 I bought a low end chair massager, thought I would really enjoy it, I hardly use it, it is just not that great. I do live in a place where great massages cost $3.00 USD, so it is a relative point. A bit about the PVC or you can use the rounded edge of a vitamin bottle. If you have money to experiment with, sure try the electric models, but I do not like battery operated in general. the PVC - just a standard hardware plumbing supply item. Basically it is 1/2 inch circles while pressing the rounded end flat on the scalp; 10 seconds per area - move to next spot. Treatment time 20 minutes a day. The effect is to move the skin against the bones, not rub the skin. The pressure is about the weight of your head. Hello again, I have been busy these days and wanted to answer some questions from PM, that others might be interested in the clarifications . I started to do your method, but I still have many doubts as to whether I am doing it correctly. I have been with the traditional DT method for 7 months with good hair density results, but I notice that I was stuck or very slow. That's why I wanted to unachance this in combination with DT that I did before. About 15 pounds in English scale. I rest my head on the PVC when doing the back and sides, this shows the pressure. 2. My PCV has a circumference diameter of 1.5 inches. I do not know if it's right for this ?? 3. It is 1/2 inch circles while pressing on the scalp. Only bald areas? The whole top of the head? On the sides and back too? 4. 20 minutes a day or 20 minutes twice a day ?? this depends on how sore your scalp is from the sharp pain. More time if you are going softer on the skin due to sharp pain. 20 minutes is fine from me as I have no pain and can press hard in all areas. 5. On the PVC tube you say 'pressing the rounded end flat on the scalp'. I have not found a PVC rounded end are flat edges. So I use the middle part of the PVC elbow, it is an area larger than the edge. I do not know if this will have much influence on the results. Otherwise I will change it to the edge of a bottle of vitamins if you think it is better (this one if it has rounded edges). I do use the open edge of the PVC, it scrapes or digs into the scalp some, this is for advanced pressers with little sharp pain, so the rounded elbow is fine as you progress. The rounded sides are good for pressing out oils also when you start, later my scalp is not so oily or puffy. If you can answer me at every point, thank you. P.S. 1/2 inch circles while pressing on the scalp takes more than 20 minutes in my case, and it seems like a hard work and meticulous, right? glad to see you are sticking with the long term plan, it really does look better if you can take pictures, even just for yourself. Slow train to progress, but one of the most senior regrowers on this forum told me that it took him 3 years to get the really good quality density he now enjoys. I am glad to just see the right direction. Really depends on the light if it shows the new density or not, but it is coming along. Imagine the difference if I was 19 months balder. Thanks for posting those questions, it's nice to have a frequently asked questions post up! Can't get any of the photo links to work. Maybe try another browser or copy and paste the links to a new tab. I am pretty sure they are working. If you right click and open in new tab is the best way. I want to comment on the reality of regrow. Your MPB hair has been reprogrammed to be super short and thin. Like the hair on your arm has length limits that keep it shorter than normal head hair; your MPB has a redefined length and width. Regrow is about reprogramming the hairs to grow to their potential length as healthy hair. It is not just unplugging blocked follicles or giving enough nutrients and in a few weeks the hair can sprout out with vigor. Regrow is more like trying to get your eyebrows to reach lengths of 2 feet or something against a defined limitation. I am not speaking in medical processes, just an allegory to better define people's expectations of measuring progress. If you are looking for 6 months pass or fail for a treatment, and working treatments take on average over a year, it is unproductive to even try. There may be drugs or other treatments that work faster, or for some people, but any treatment that gives even slow progress that is sustainable is worth the process. But if we ARE successful at "reprogramming" the hair like you say, then it's possible for them to grow (lengthwise) normally like before MPB set in? As in there's no hard limit now for length for whatever reason? I think that's what you meant by "healthy hair" but just for the sake of conversation . I have long hair and want to get back what I lost. Sure the goal is full hair restoration regrow. It is just a process to get all of the hairs regrowing normally. Some of my hairs now regrow to full length and speed, so I know it is possible, just not all of the hairs. I would make a whole website about vitamin C if I had time. I recommend 2000 mg a day with the DT-CPR. Since I started using vitmain C around a year and a half ago I have not gotten sick or a cold since. If I feel a cold coming on I just take a heaping tablespoon full of ascorbic acid powder and mix it with half tablespoon or less of baking soda into juice. Wait for it to stop fizzing and stir. Do this every 4 hours until you feel healthy. This might give you loose stool, but it is worth it and a good dump will make you healthier. Ascorbic acid powder can be bought super cheap online. Thanks cdto2012 for your input regarding using pure vodka, as a host to extract (benefit) of the actual ingredients. I do appreciate your helpful suggestion. Part of me wishes I could just call it good enough, and be done with the process. I can honestly say that all of the areas that I can clearly measure, are slowly growing longer and thicker each month. I show pictures of areas that are/were truly bald, very far from the hairlines. The grafts make it look like my patch of hair is just getting a bit thicker. Truly in the remote areas the pace is dreadfully slow, but I have seen plenty of the new hairs go terminal in the border areas. It is just really hard to show pictures of border areas and know what is new or 1/4 inch longer. So it is just the truth that I can clearly see and measure, my hairs are thickening and lengthening. The process is very slow at my condition. I am sure that my loss is reversed, so for that alone I will continue. Absolutely my scalp is much healthier. With that said I picked up a cheap metal dog brush, pretty sharp and alarming feeling. Surprisingly it does not make my scalp red, I only use it for a minute before the green tea and seaweed topical.. Added some wasabi to try. I only use it for a minute before the green tea and seaweed topical.. Added some wasabi to try. Seaweed? Did I miss something? I know you mentioned the green tea though. Personally I've been using Spirulina and Chlorella. I mix the Spirulina in a spray bottle with distilled water and saturate my scalp with it, then apply a mixture of chlorella and distilled water, then apply red palm oil, then shower. many months ago I would mix seaweed with my coconut oil, but do not use coconut oil anymore. I put in a little dried seaweed with the green tea when it is hot. I do not put in too much seaweed, as I do not want to make it salty. I do put a sprinkle of ascorbic acid also. The seaweed is for the trace minerals There is a popular poster here in Thailand with a guy that restored his hair with a sea mineral topical. Probably get some fukishima radiation also with the seaweed, like a free laser treatment. You mean seaweed like "sushi nori", the thing they use to wrap sushi? Those come in sheets, so maybe I could crush one and then mix it with the green tea topical? I have found a way to get super fast results in breaking down the scalp fibrosis, and you don't have to really do anything. Do you use it undiluted? I'm still having problems with dandruff/flaking/dermatitis on my scalp, so I'm about to go all in with ACV. Tonight I'll try my regular 50-50 mixture and spray it all over my scalp before bed, then I'll try undiluted with a spray bottle before bed, then maybe I'll try the paper towel method. I have long hair though, it will be a challenge to get the position right. That's why I like my spray bottles, I can part my hair and get it down onto my scalp.